I was delighted, astounded and totally gobsmacked to discover yesterday that Poet’s Cottage has made the shortlist for the annual Sisters in Crime Davitt Awards. When I first heard the news, I had to go for a run to calm down. A day later I’m still sitting with a grin wider than Luna Park. I was transported back to Stanley, Tasmania, where the wild sea wind and spectacular scenery inspired the story of Poet’s Cottage. I still hear the faint sounds of Pearl’s gramophone playing, feel the cold sea breeze blow Birdie’s hair, and hear the stomp of the Bindi-Eye Man as he treads through Thomasina’s memory trailing damp, rotten seaweed in his wake. I’m always happy that people have enjoyed reading the tale that whispered itself to me and has clung like the Tasmanian sea-mist for so many years. They were lovely characters to explore and I’m delighted they have made it to the Davitts. I have included an image I love of Daphne du Maurier outside Menabilly, her sea-fishing ‘cottage’ that inspired Manderley from Rebecca (it’s from the book Daphne du Maurier At Home by Hilary Macaskill) and photos of my own trip to Stanley near the Tasmanian sea. 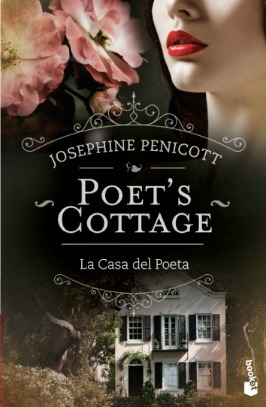 It brings me such joy that local book clubs have gone to Stanley to discover the inspirations that inspired Poet’s Cottage. Popping in quickly with my edit nearly due for Currawong Manor to show you the beautiful new cover Ullstein in Germany have designed for Dornentochter (Poet’s Cottage). Gorgeous, isn’t it? I’ve been incredibly blessed with three editions of Dornentochter. They all reveal a different dimension to the book and I love them all. I’m very grateful to all who have worked on the books and to everyone in Germany who has purchased a copy of my Tasmanian mystery. I was overjoyed to see this in my email box – Dornentochter on the Spiegel list for Bestsellers. It doesn’t seem real to see my name so close to the other acclaimed authors! My reality is – racing towards this deadline, school-drop offs, a sick daughter, juggling activities etc. 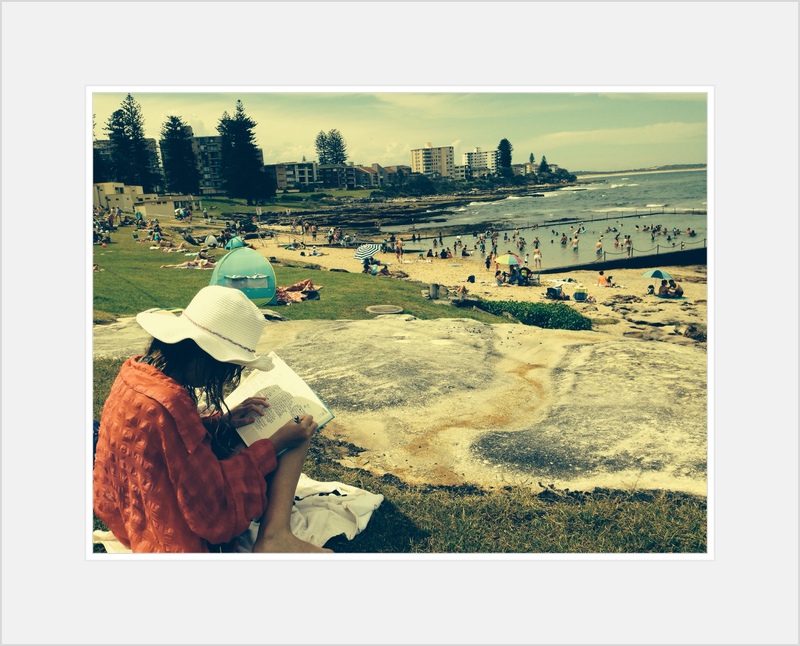 Of course, I’m delighted because it shows people love to read books set in Australia by Australian authors. The recent panel I did with Sisters in Crime in Melbourne attracted publicity in both papers in Tasmania – the Launceston Examiner and also the Hobart Mercury, which is featuring Poppy Gee, Livia Day and moi in this Saturday’s arts colour supplement. So happy to be in that supplement as I’ve read it for years. My mother collects them all for me and when I go home, I inevitably bring a mass of clippings back to Sydney. I love reading about people in the arts scene down there or mainlanders doing sea and tree-changes in Tasmania. Once I’m through the edit, I’ll try to organise jpegs of the interviews for this blog. Thank you to all my gracious Facebook friends who have already commented about the Spiegel Bestseller list and also a gentle reminder about my giveaway – details below. I shall draw a lucky winner from my Magic Hat when I finish my deadline. Something Rotten in the Apple Isle Giveaway! I have been quiet on the blog as I’m on deadline for my latest edit of Currawong Manor but wanted to pop in quickly and announce a giveaway on Tale Peddler. As I’m so busy at the moment this giveaway will run for a month but I will remind folks weekly and it also gives you more chances to win. I’ve just returned from Melbourne where I was a guest for Sisters in Crime along with fellow Tasmanian writers Poppy Gee and Livia Day for a panel called Something Rotten in the Apple Isle. Lindy Cameron chaired the panel. This was a fun night and it was so great to finally meet Poppy and Livia and to be reunited with the Sisters in Crime of Melbourne. For the evening I read Poppy and Livia’s books and they are both excellent although different in style and setting. All three books are set in Tasmania which is what inspired our panel . Livia’s A Trifle Dead is set in urban and hip Hobart and is a really funny and gripping read. And Poppy’s book is set on the stunningly beautiful East Coast of Tasmania and describes the ripple effect amongst a small community when the body of a dead girl is washed ashore. We discussed Tasmania as Muse, our own childhoods in Tasmania, some well-known murder cases in Tasmania and how our books were inspired by the landscape. We also touched on motherhood and writing and how difficult it can be to produce work when you also want to be there for your children. Thank you to the audience who braved a chill winter’s evening to hear us speak and also to Sisters in Crime for inviting me to be part of the event. I have shared a few photographs taken at the night on my Instagram. There are two Sisters in Crime in particular the beautiful Leigh Redhead and Amanda Wrangles who always seem to bring out my inner trout pout. Amanda Wrangles is the talented artist behind the beautiful cards in the photo. They are not included in the giveaway but I couldn’t resist showing them off. One person will win a signed copy of our three books and so a complete set of Something Rotten in the Apple Isle books. This competition is open world wide and so if you’re overseas and have been longing for a print version of one of our books you now have a chance to win ALL THREE. It makes a unique and lovely gift for the crime and mystery reader in your life. AND if you SHARE the competition on your social networking sites and let me know you have shared, you get an extra chance! AND every week when I remind if you SHARE AGAIN you get an extra chance in my Magic Sorting Hat. I have loads of things I want to blog about including my impressions of the Sydney Writers’ Festival but for now back to the edit. Wishing you all a Happy Easter Season. I will be in my garden writing shed for most of it as I have a tight deadline to meet with Currawong Manor. But before I turn off my computer I wanted to share with you the beautifully dark and dramatic paperback version of Dornen Tochter (Poet’s Cottage) in Germany. I love it so much. I’ve been most fortunate with all my covers because I couldn’t be more thrilled with all of them. I plan on cutting back my blogging to once a month unless really huge news happens or for my book reviews as I really need to submerge myself fully into the world of my books. So roughly around the time of the full moon I shall be updating.